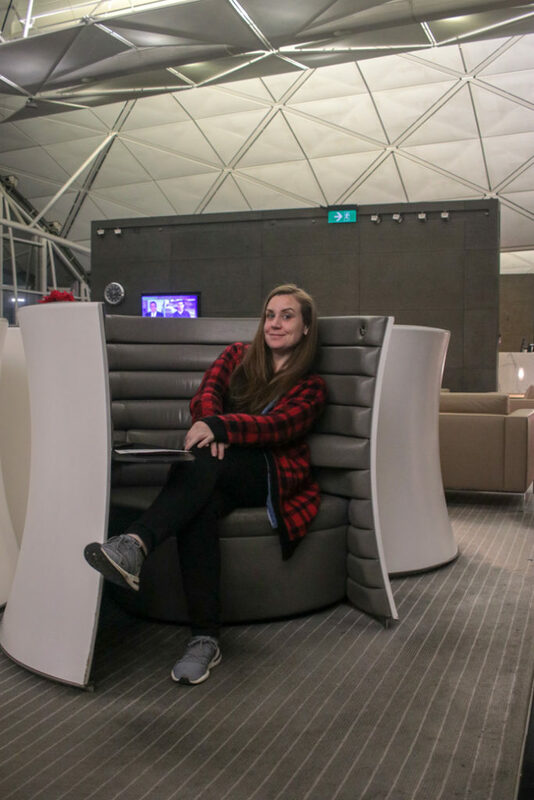 Cathay Pacific Business Class Lounge Review – there’s a video at the end. 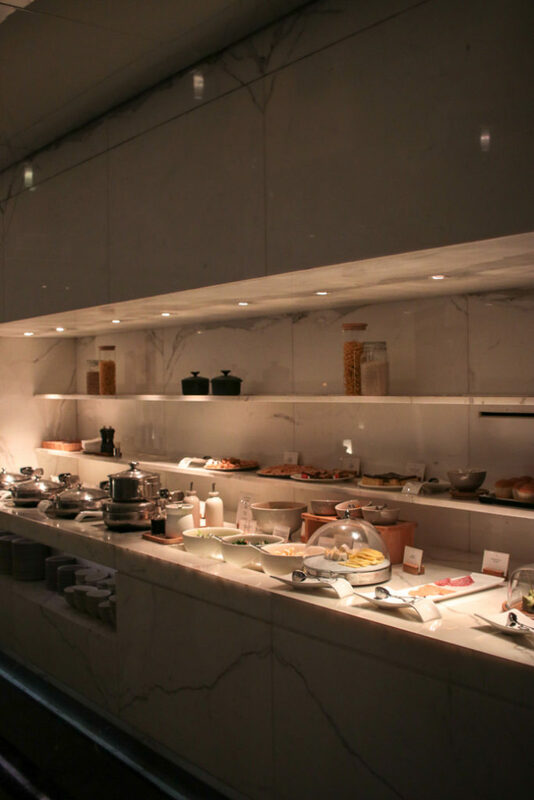 The Wing, Business Class, is Cathay Pacific’s premium lounge. It is at Hong Kong International Airport. You’ll find it in the south departures hall of Terminal 1 on Level 6 near gates 1 to 4. 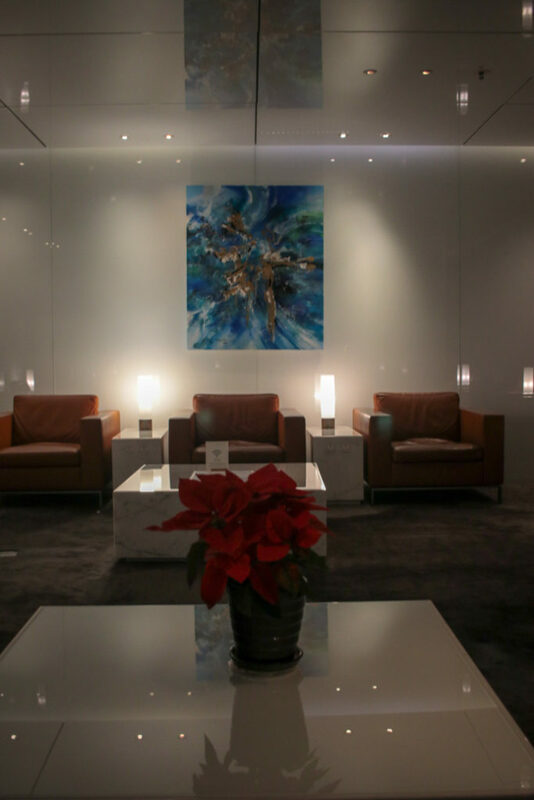 The Wing Business Class Lounge is free to use for First and Business class passengers. 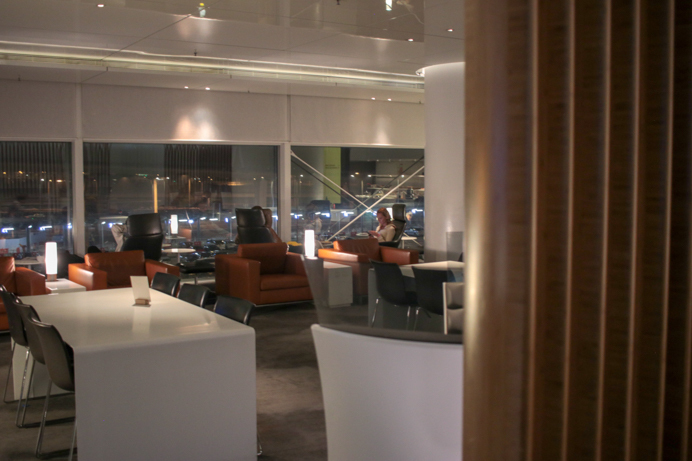 Selected Marco Polo Club members and Oneworld frequent flyers can also use the lounge. You can check who can use The Wing lounge on the Cathay Pacific Lounge Admittance website. What I liked most about The Wing Cathay Pacific Business Class Lounge was its spaciousness. There is loads of room between all the tables, chairs, sofas and stools. You never feel like you are on top of other lounge users. There are plenty of nooks to find some quiet. The Wing Cathay Pacific Business Class Lounge covers two levels. One the first level are the showers. These are large and have all the amenities you could need. The staff is very attentive and will get you whatever you need. I was gutted I didn’t have enough time to have a shower before my flight. 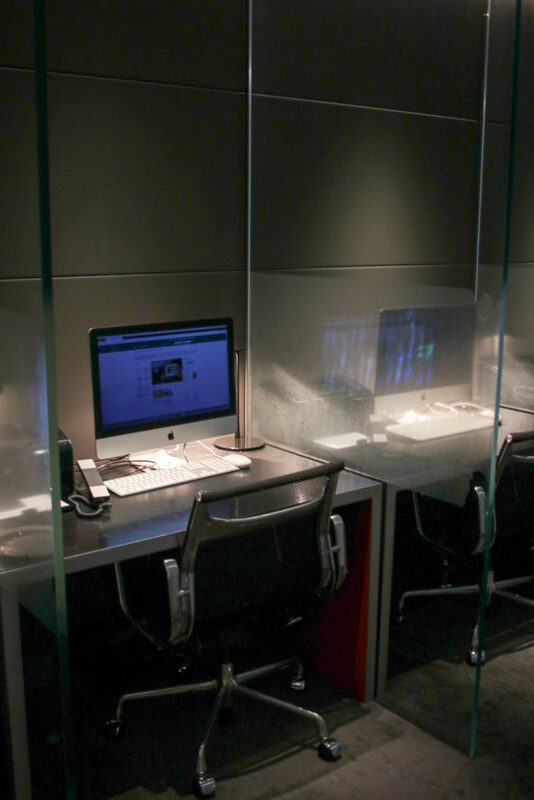 There is also a work area with single cubicles with computers, phones, printers and high-speed web access. Across from the work stations, there’s a reading room area with big comfy brown leather armchairs and plenty of reading material. The main lounge on the ground floor has a variety of seating options and tables. There is a buffet bar here too with lots of fresh hot and cold food as well as hot and cold drinks. Upstairs is the main Cathay Pacific Business Class Lounge area. Like the lounge area downstairs, there are many different seating areas and tables. There are areas for large groups and great pods for individuals looking for a bit of downtime. 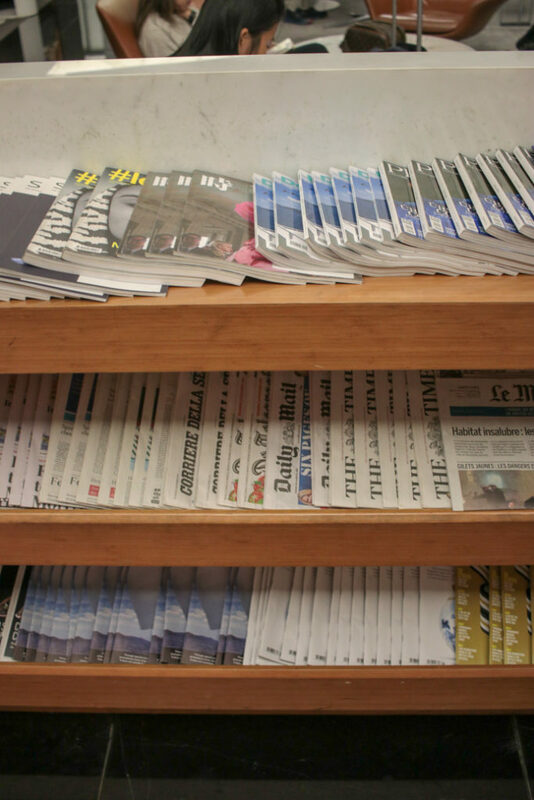 There are loads of magazines and newspapers as well as TV screens playing international news channels. The toilets are also on this level. 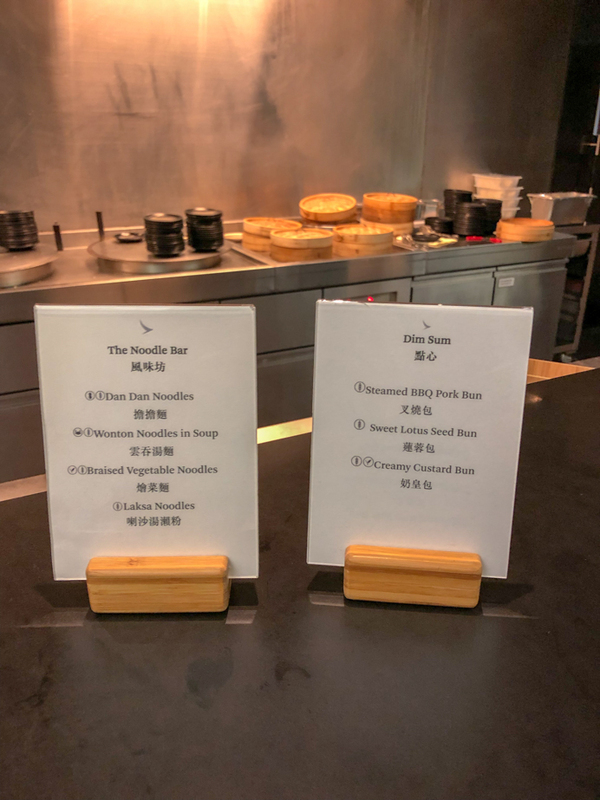 The Wing Cathay Pacific Business Class Lounge food options. In terms of food, in the main lounge area, there is a buffet bar with lots of fresh hot and cold food as well as hot and cold drinks. I was there at Christmas time and there was plenty of ham and turkey as well a Christmas inspired baked goods. There is a fantastic noodle bar decorated in a relaxing Japanese Zen style. 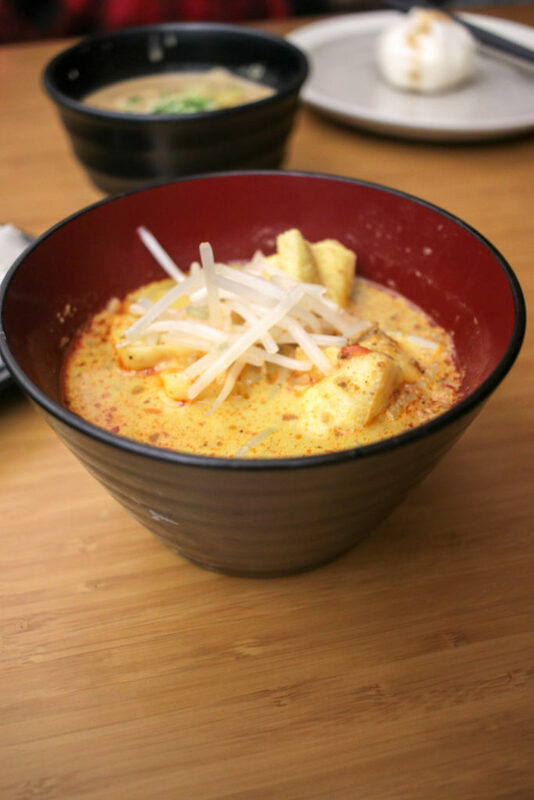 You can place your order with the chef who will whip you up Asian dishes, such as dan dan noodles, char siu buns, dumplings, and regional specials. 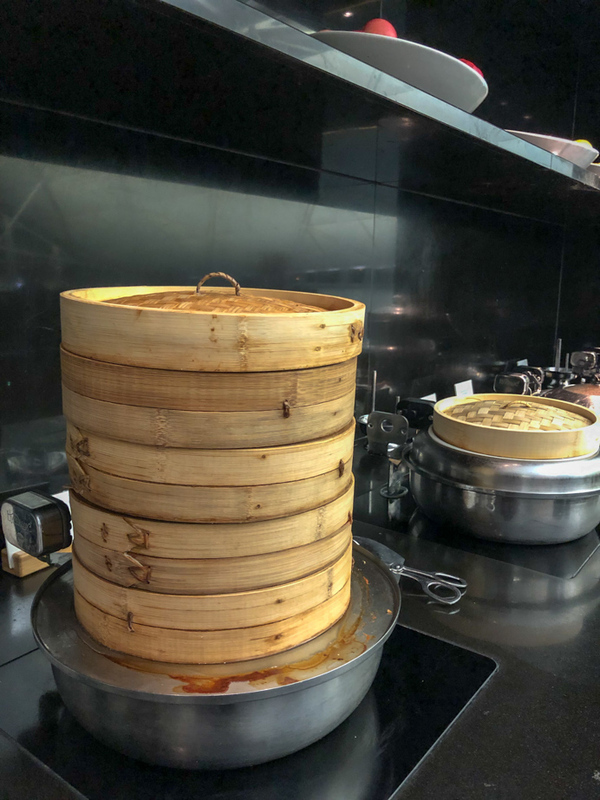 There is also an Asian inspired buffet that bubbles with bamboo steamers filled with noodles, rice, soup and steamed buns. 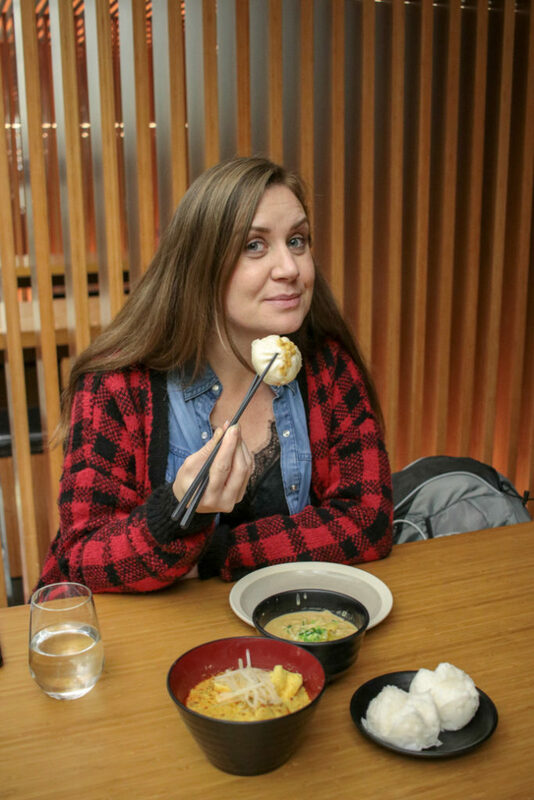 I spent a lot of time in the Noodle Bar. I spent a lot of time here because it took me so long to eat because I can’t use chopsticks. Across the corridor is The Coffee Loft where you can have a frothy cappuccino and other speciality hot beverages, made by baristas. 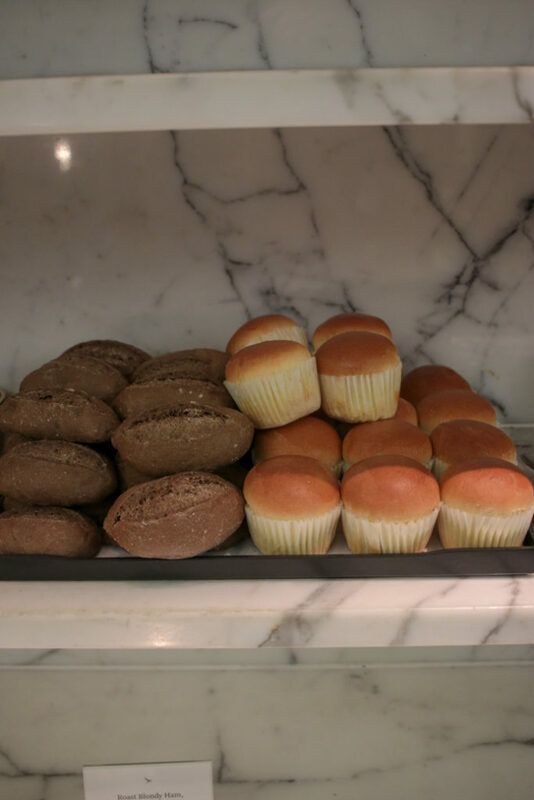 In this café area, there is a selection of sandwiches, pies and cookies. Back in the main lounge area there also The Long Bar, made with gleaming, white marble. Pull up a stool and enjoy the views overlooking the tarmac. The mixologists will make and shake you a signature cocktail or you can order all manner of alcoholic drinks including premium champagnes and fine wines. 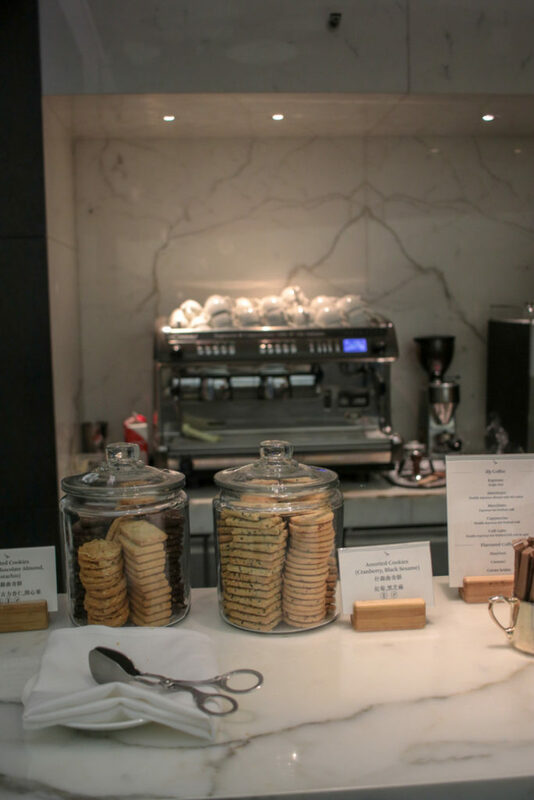 At The Long Bar, you’ll find seasonal freshly prepared canapés and pastries as well as tempting jars of snacks and cookies. 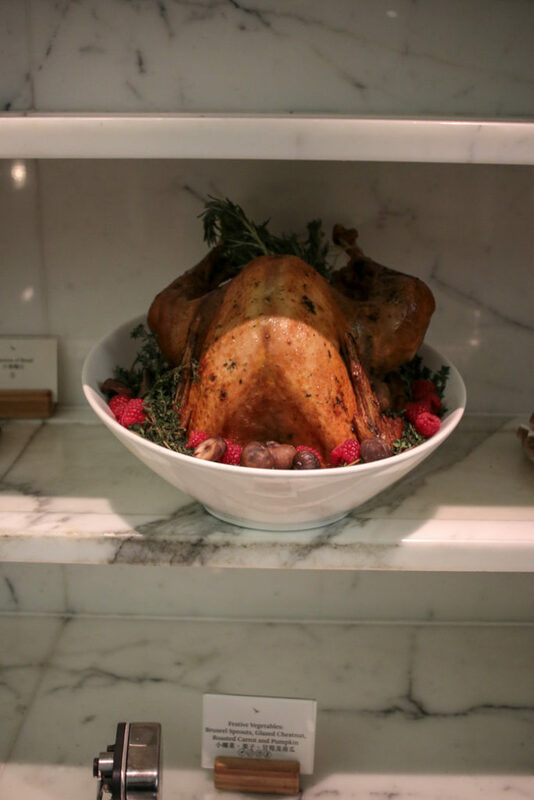 The quality of the food in The Wing Cathay Pacific Business Class Lounge was wonderful. The best lounge food I have ever had. 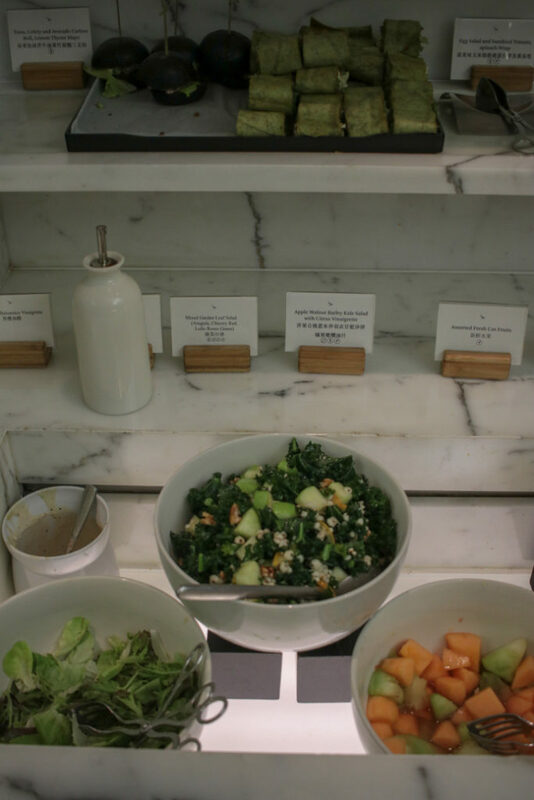 There was a lot of choice for vegetarians too and plenty of healthy options as well. Of course, I just stuffed my face with all the sweet treats as they were so good. I’m a huge fan of airport lounges and I use them a lot. As I am a Oneworld frequent flyer member I can use The Cathay Pacific Business Class Lounge for free. However, I have paid for lounge access before as I think they are well worth the money if you are in the airport a few hours before your flight. They are also great if you are hungry as they can end up working out cheaper than buying food from the airport restaurants. 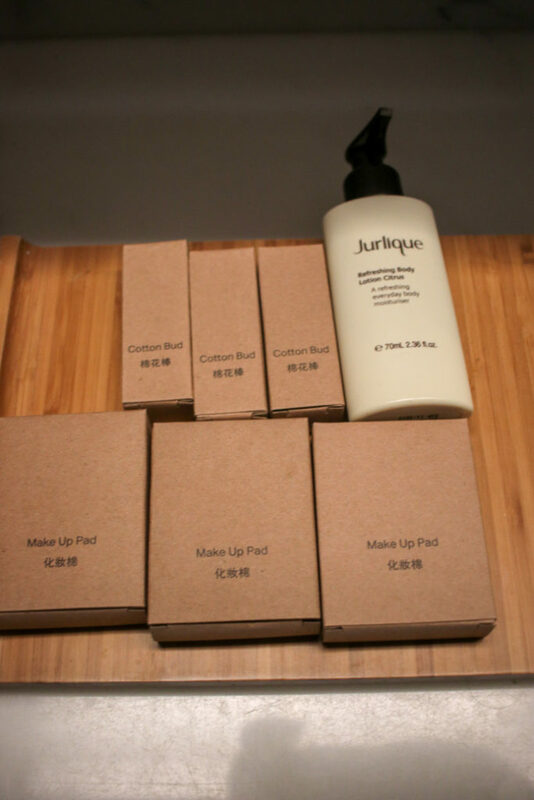 It goes to say it is only good value if it is reasonably priced. For me, €20 is the cut-off. If it costs more to get into the lounge it doesn’t really work out as good value for me as I don’t drink. But, if you like to have a few scoops or vinos before take off, then paying to use a lounge is a great idea. 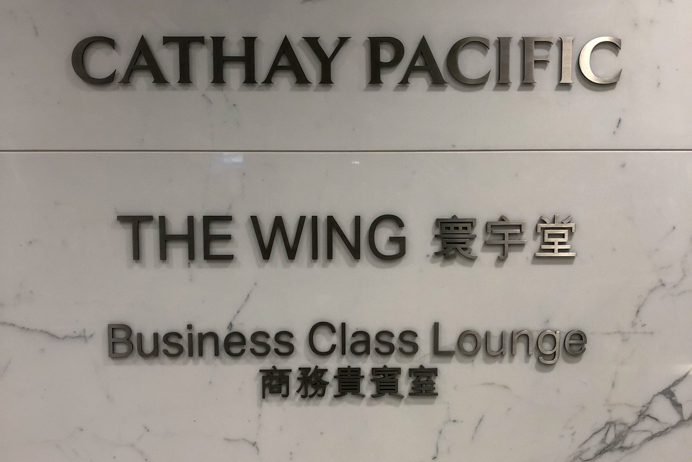 Unfortunately, you cannot pay to use The Wing Cathay Pacific Business Class Lounge but there are other lounges in Hong Kong International Airport that you can pay to use. You can see more of the lounge on my Cathay Pacific Instagram highlight. 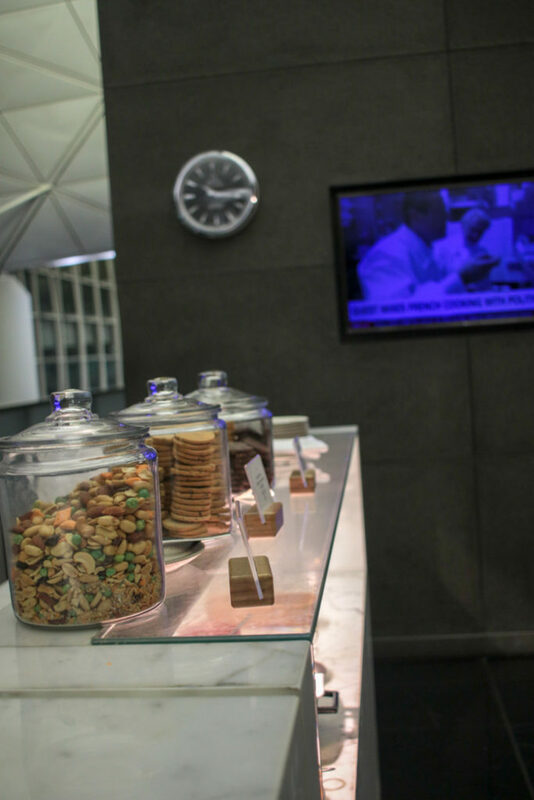 Have you used the Cathay Pacific Business Class Lounge? 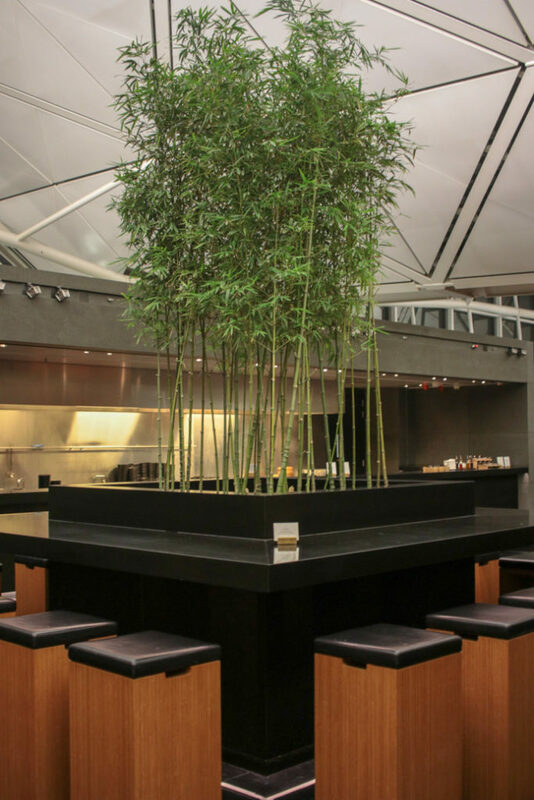 Let me know how you got on and how you think it compares to other airline lounges. 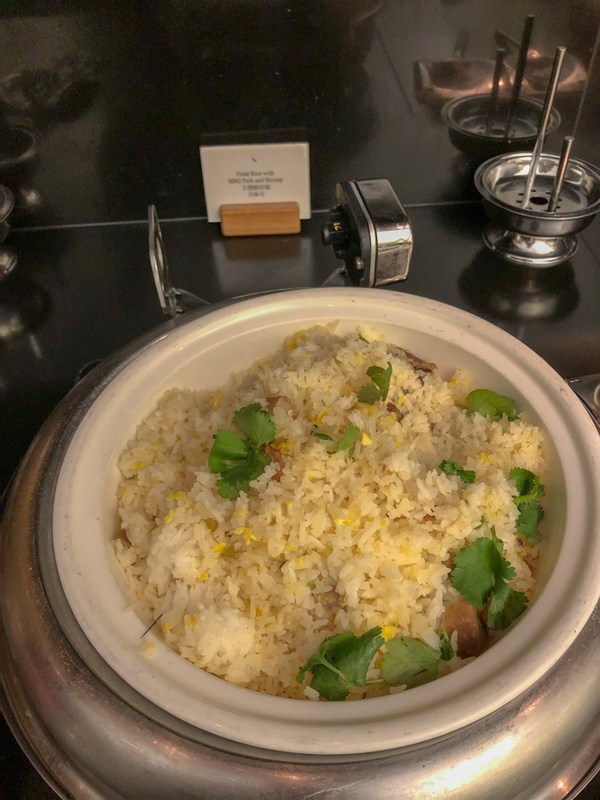 If you liked this Cathay Pacific Business Class Lounge review, you might also like my review of the Cathay Pacific Premium Economy cabin. Additionally, you might enjoy reading my guide to La Boqueria Food Market in Barcelona. Another blog you might like is my Cologne City Guide. 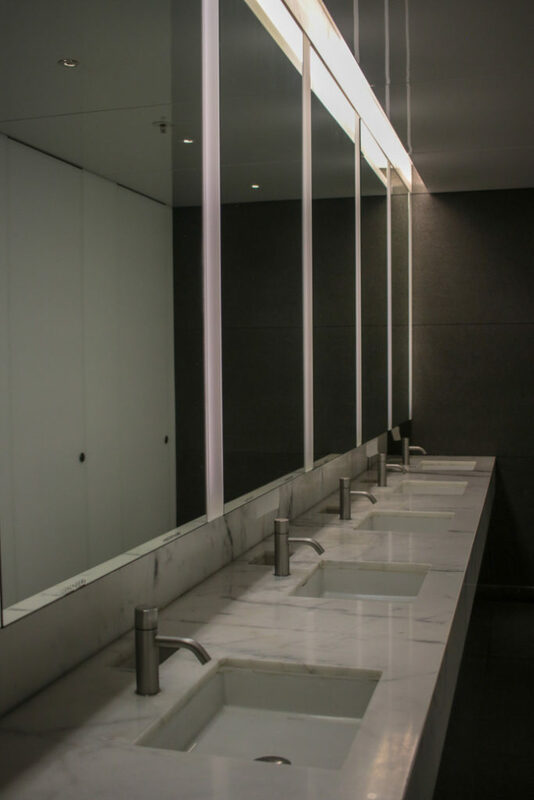 If you liked this Cathay Pacific Business Class Lounge review, please share with others.